Using hybrid parallelization (MPI and OpenMP), SLH works on the largest supercomputers. It was optimized to scale up to half a million cores in extreme scaling workshops at Leibniz-Rechenzentrum Garching and at Forschungszentrum Jülich. Scaling Plot of SLH on supercomputer JUQUEEN at Forschungszentrum Jülich. 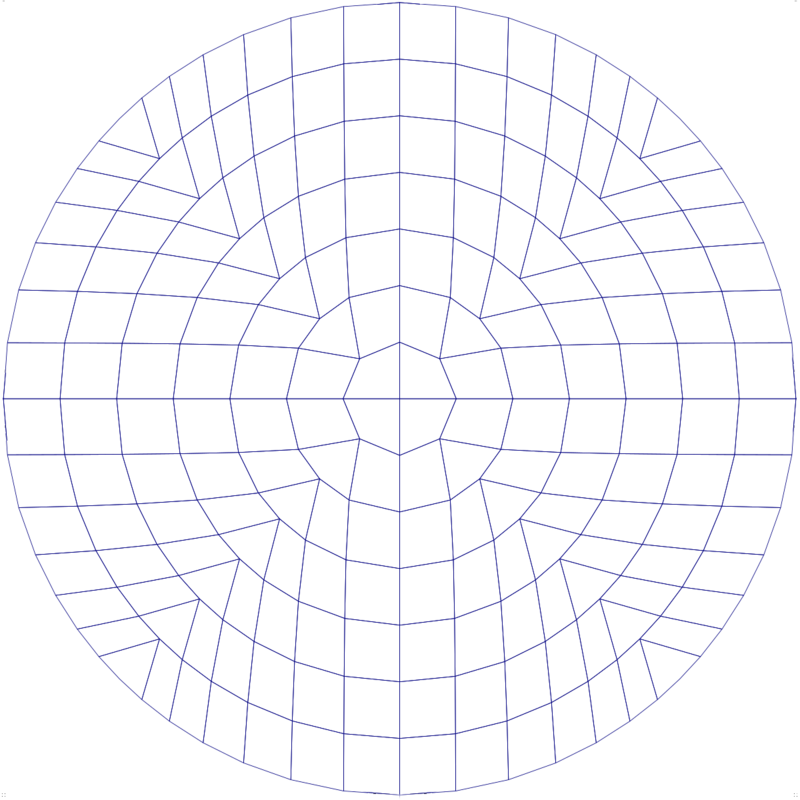 SLH can work with arbitrary curvilinear meshes, using a rectangular computational mesh. This keeps the code almost as simple as if using a Cartesian mesh, while having the flexibility to adapt the code to the geometry of the problem. A suggestion by Calhoun et al. (2008) for a curvilinear mesh, which is close to spherical without the singularites of curvilinear coordinates.